The University of Illinois Alumni Club of Greater Washington, D.C. is proud to honor Carl Vacketta - BS Commerce, 1963 UIUC and J.D. Law, 1965 UIUC, as our 2017 DC Illini of the Year. Carl was born in Westville, Illinois on August 3, 1941. After attending Westville Township High School, and graduating in May, 1959, he went on to attend the University of Illinois. While at U of I, he was a four year member of the Reserve Officer Training Corps (ROTC), and was commissioned as a Lieutenant in the U.S. Army, in 1963. After graduation, he passed the bar exam and became a licensed attorney in November, 1965. In March, 1966 he was activated during the Vietnam War, but served his entire time on active duty (first Quartermaster Corps, then Judge Advocate General (JAG) Corps, U.S. Army) as an instructor in procurement law. He left active duty in late 1968, as a Captain. In September, 1968, he joined the law firm of Sellers, Conner & Cuneo (SC&C), specializing in government contract law. He was made a partner in November, 1973. In April, 1974 he left SC&C, with another law partner, to form the first D.C. branch office of Pettit & Martin (P&M), a California based law firm. In April, 1995, while head of the D.C. office of P&M, he merged that office into what was then Piper & Marbury. Today this later firm is called DLA Piper, one of the largest law firms in the world (approximately 4,200 attorneys in 40 countries in about 75 officers). After almost 50 years of practice as a distinguished government contracts lawyer, Carl retired from DLA Pipper on December 31, 2014. 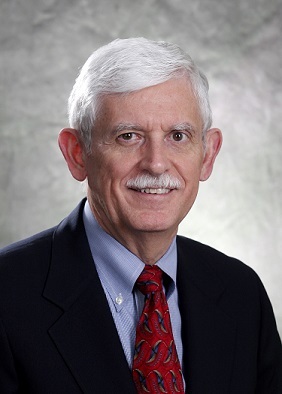 He remains active, and currently serves on three non-profit boards (including the University of Illinois Foundation), and continues to teach Government Contract Law at Georgetown University Law Center (for the past 45 years).